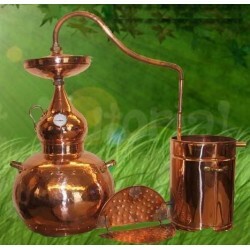 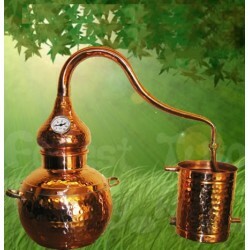 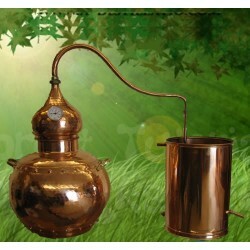 Due to its unique design and properties of copper - alambic are the best devices, allowing to obtain a variety of alcohols of the highest quality.They are made in one of the oldest factories in Portugal. 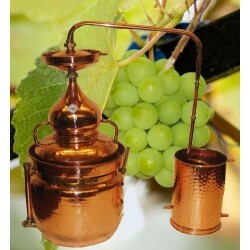 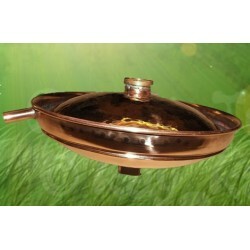 They are made of pure copper with a tinned partial dome.Products that can be used to distill a mash sugar and fruit-berry or grain mash.The products have an attractive appearance. 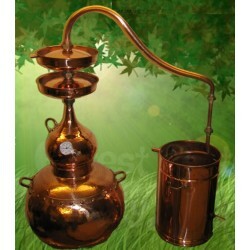 This Alembic made the traditional method forging of copper, with individual nodes of the boiler performed by brazing, providing long-term operation. 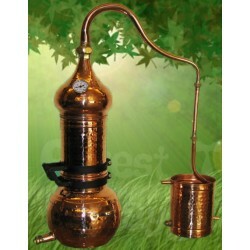 Alembic can be used as a column, and without the column. 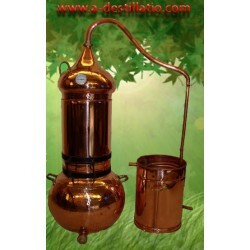 The presence of the column can not produce distilled only grappa / brandy / plum, and sublimation of volatile oils and herbal tinctures cooking on Customer's request. 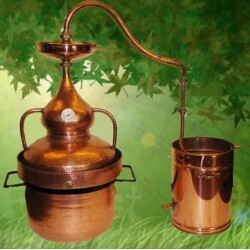 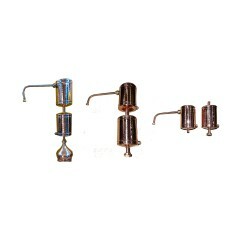 Due to its unique design and properties of copper - alambik are the best devices, allowing to obtain a variety of alcohols of the highest quality.They are made in one of the oldest factories in Portugal. 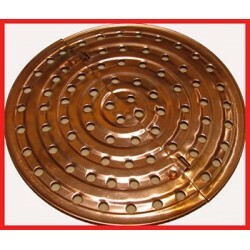 They are made of pure copper with a tinned partial dome.Products that can be used to distill a mash sugar and fruit-berry or grain mash.The products have an attractive appearance.